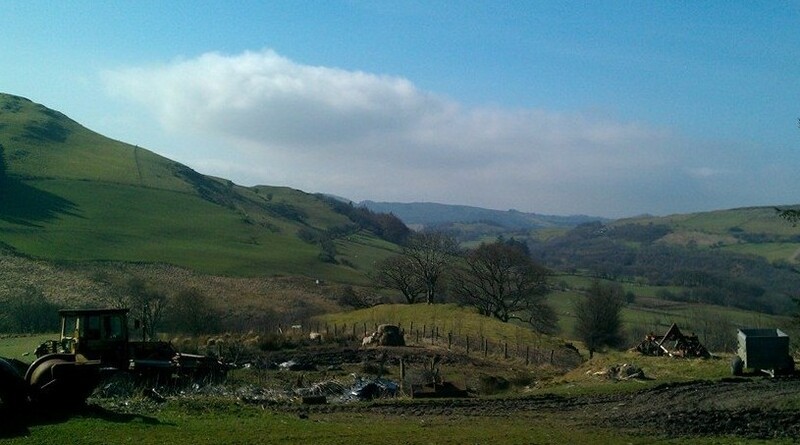 This time last week I was driving to Wales to record my new album – a collection of songs exploring themes from the Mabinogion. 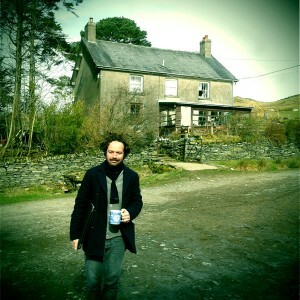 It seemed appropriate to record these songs in Wales, and I was looking forward to visiting my good friends Delyth and Dafydd Morris-Jones, who’d offered up the use of their barn for the project. After weeks of rain, the clouds lifted and spring arrived in a whirl of blue skies and daffodils. 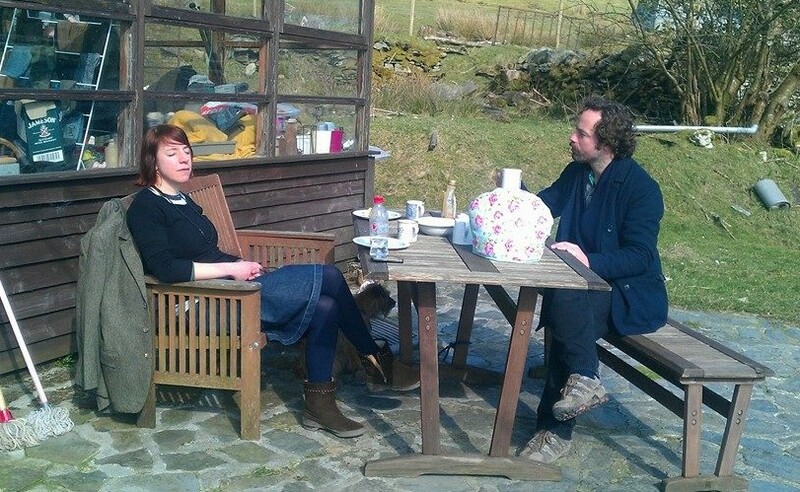 The birds sang (some making cameo appearances on the recordings) and the sun shone. Christophe Albertijn was in charge of recording and he travelled over from Antwerp to work on the project. We’d recorded The Woody Nightshade in a similar way, in a different barn in Oxfordshire, and it was great that Christophe was available to work on this one. Nancy Wallace joined us for the weekend to add vocals. It’s always a joy to sing with Nancy, and she made a new friend – Begw the dog! 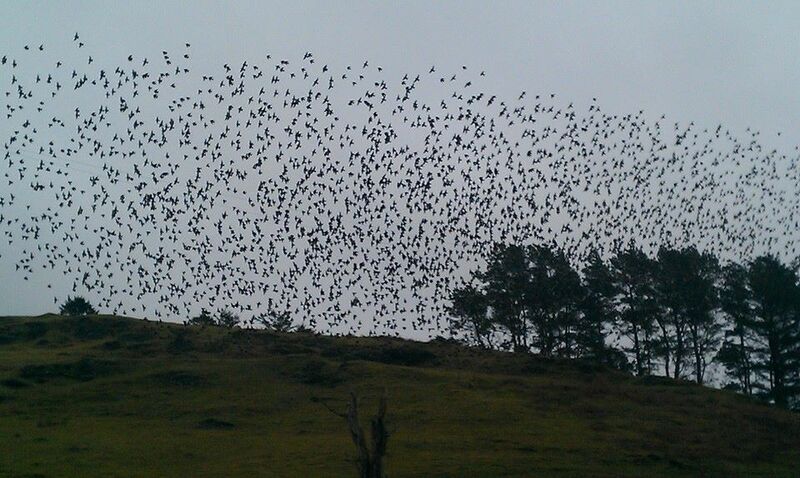 On the day we were recording a song about Branwen, a Welsh princess who marries the King of Ireland, then trains a starling to speak and sends it to tell her brother that she’s being mistreated, we were visited by a huge, loud murmuration of starlings. They started flocking to the trees next to the house, then flew in formation over our heads, like a squadron of mini fighter-jets, to the opposite hills. It’s quite unusual for them to come this far inland – they usually roost on the pier in Aberystwyth – so there must’ve been some Mabinogi magic at work! 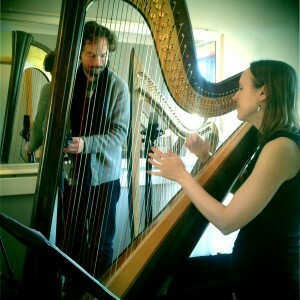 Our last day of recording was with Harriet Earis, adding harp to the songs. 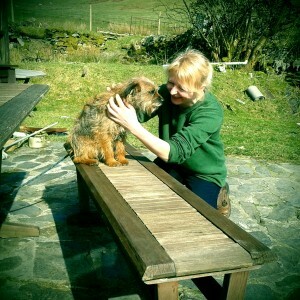 Harriet has lived in Mid Wales for years and loves the stories of the Mabinogion as much as I do. 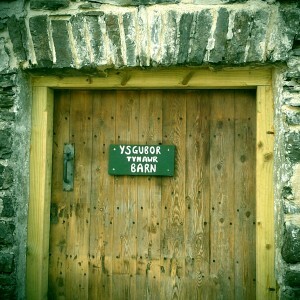 She played on Pilgrim Chants & Pastoral Trails and I was keen to involve her in this project. Now we’ve recorded the basics, and will add some extra instruments over the next few weeks. Then I’ll head to Antwerp in April to mix the album with Christophe and it should be out later this year..